Losing her would send him spiraling into darkness. With Eyelet gasping in his arms and a toxic storm threatening to annihilate the Commonwealth, Urlick must find a way to save his beloved, and fast. Out of the mist appears an unusual man, claiming to possess the power to heal Eyelet. The townspeople immediately label him a sorcerer and call for his death, but Urlick trusts the stranger. He whisks him off to the Academy where it becomes clear Eyelet is running out of time. She must drink her father’s antidote, or perish. Together, Eyelet and Urlick brave the toxic woods to battle an Infirmed Flossie for the stolen necklace. In a race against time, they embark on a harrowing journey through the hellfires of Embers, where they meet up with the resurrected form of a familiar enemy—now the leader of the Dark World. Along the way, the pair unearth a sinister truth. Could the Vapours really be what they appear to be? 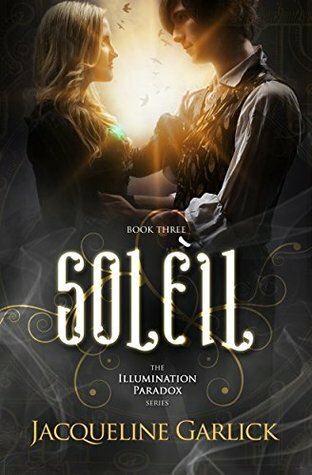 Soleil is the third and final installment of the long-awaited Illumination Paradox Series. A swashbuckling, nail-biting, romantic adventure, filled with mechanical beings and puzzling happenings, with a shocking, otherworldly conclusion. This book missed the mark. 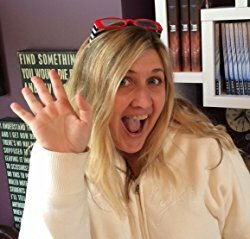 I had been quite excited to see how everything would come together, how everything could be fixed or righted. Unfortunately, this book was a complete change from its predecessors. I found absolutely nothing wrong with the Wonderland addition of this novel, it fit in seamlessly with the rest of the story, however, it might have been nice to have had a few mentions of Alice being Eyelet’s favourite story in the first or second book, instead of having the knowledge dumped on us towards the end of the third book, in a series that previously didn’t mention other stories. All the talk of coughing blood, and never once was the idea of tuberculosis brought up! Perhaps it was supposed to be a subtle thing, but with the ravens and Eyelet coughing up blood repeatedly, I had thought it’d be a given. Without giving anything away, in the end, I felt that everything we’d been through was rather for nothing. The world shifted to work in a way that made little to no sense, utopia found. I had been quite invested in the town that Urlick had only just been sworn king of, and I was looking forward to seeing it saved. In most dystopian style novels, there is active resistance against the government, and a slow rise/change from people (usually young adults, but not always) that attempt to bring the world into enlightment. This book simply left everything behind. If you’ve read the first two books I would recommend finishing the series, since I do so hate to not know how something ends, however, be prepared to reach a conclusion that might not be what you had in mind.